The Super Bowl is just around the corner. For many this means Parties, a halftime show from a pop star usually past their prime, and “cringy” Dorito commercials your dad somehow finds hilarious. But for those like me who watch the game because we love the sport it’s less than a joyous occasion. This is because for another year we're forced to watch 'Mr. Perfect', Tom Brady. 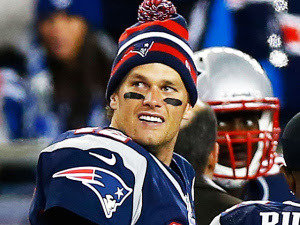 Brady comes across as smug, conceited, and whiny. Whether he's demanding other players to pay their respects to him, kicking a player after they tackle him, or acting as if he's a victim for destroying evidence while under investigation for cheating, he never fails to be an egotistical cry baby that refuses to take responsibility. But why should he be held accountable for his actions? After all, he's Tom Brady. So while for many Super Bowl Sunday will be a fun day, for those like me, the day will be spent anxiously praying that Brady doesn't add another championship to his résumé. Superbowl LI (51) will air this Sunday, February 5, 6:30 PM on FOX. The Patriots will play the Falcons.